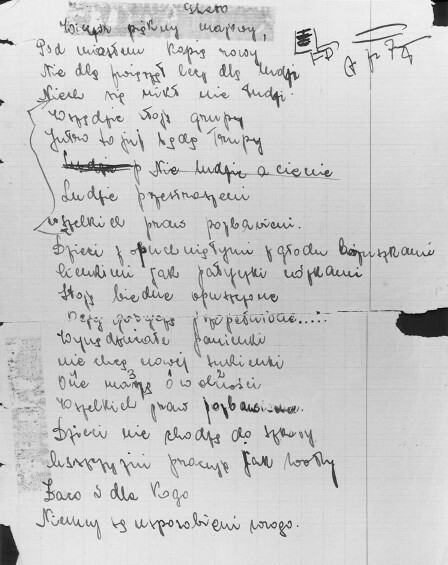 A page from the diary of Eugenia Hochberg, written while she was living in hiding in Brody, Poland. The page contains a timeline of important events that happened during the war, such as deaths and deportations of family and friends. Brody, Poland, July 1943–March 1944.